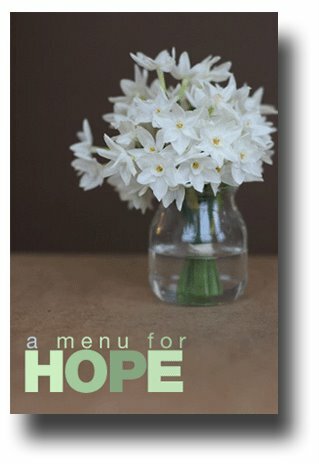 Thank you to everybody who contributed to and took part in the Menu for Hope. Thanks especially to Pim for inspiring us all to do a little good in the world. Thank you to all my kind sponsors (currently listed on the right) who contributed to the cause. If I did my maths correctly, Becks & Posh prizes raised over $2,000. Archive Alert! On this date in 2004: Holiday Greetings! Wow! I can't believe we all raised over $20,000. In case I haven't already said this, your idea of getting local businesses to donate gifts was a stroke of genius. Your gift packages were so generous, and in turn inspired a lot of excitement and generosity from others. Brilliant! I wish you and Fred a happy holiday season and I hope you can invent some satisfying traditions that will make SF feel even more like home to you. Sam, what a wonderful thing this was. I was so glad I could be even a small part of it. I hope you have a great holiday season. Sam what a wonderful amount to have raised. It makes it all worth the effort. Will talk to you tomorrow. Sending you merry and delicious holiday wishes. Thank you for all you do. And thank you for helping to make Farmgirl Fare one of the most enjoyable things I have ever done. It would not be the same without you, and I definitely would not have laughed nearly as much these past 7 (!) months. I can't begin to say how happy I am that we are friends. I am happy about that too, farmgirl, believe me. thnks to everyone else too.